This study examined automatic processing of emotional faces in individuals with high-functioning Pervasive Developmental Disorders (HFPDD) using an affective priming paradigm. Sixteen participants (HFPDD and matched controls) were presented with happy faces, fearful faces or objects in both subliminal and supraliminal exposure conditions, followed by Japanese ideographs for which the participants provided liking ratings. In the HFPDD group, affective priming was not found in either condition; the control group showed affective priming for both emotional faces under the subliminal condition and only for happy faces under the supraliminal condition. 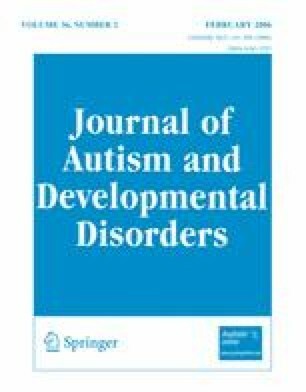 Results suggest that the social deficit in autism may derive in part from a failure in evaluating the emotional significance of emotional faces, a function for which the amygdala plays an important role. The authors would like to thank all children and families for their participation, Ms. Cohen at League School for her assistance during data collection, and Dr. T. Nakamura for help with statistical analysis. This research was supported by the 2000–2001 Awards Visiting Fulbright Scholar Program. We would also like to gratefully acknowledge the assistance of Elizabeth Kelly, Diana Robins and Brook Swainson in data collection, and Lori Guillard in participant recruitment.